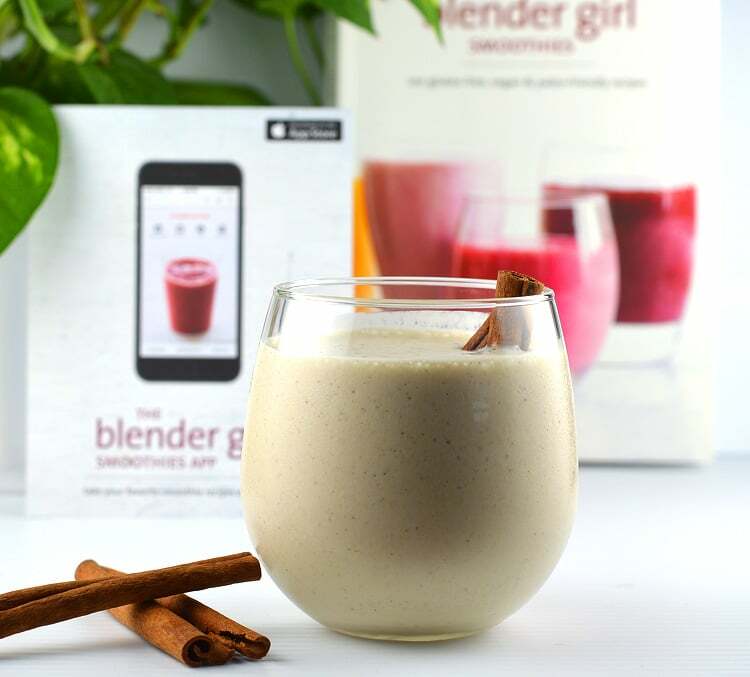 I was thrilled for the opportunity to review The Blender Girl Smoothie book by Tess Masters as it had been sitting on my Amazon wishlist just waiting for me to purchase it. There are so many things I just love about this book. Every recipe has a photo. Yes! HUGE plus for me. I like to see what I’m getting. It just makes the recipes in a cookbook more appealing. Every recipe lists the main ingredients and also offers optional boosters. For instance, the recipe I chose to make for this review was the Apple Pie in a Glass. I followed the main ingredient list, but I love the suggested lucuma powder, baby spinach or raw cauliflower florets to enhance the nutritional value of this smoothie. Speaking of nutrition, every recipe lists the nutritional facts per serving (the recipes all serve two people). The recipe descriptions also point out flavor profiles and nutritional benefits such as detoxing, protein-rich and unsweetened. The biggest selling point for me (as if I needed more), was that not every recipe called for bananas. Don’t get me wrong – I love bananas. I just don’t love them in smoothies. The Apple Pie in a Glass smoothie base calls for soaked cashews and is sweetened with either soaked dates or maple syrup. It also contains unsweetened applesauce, almond milk, vanilla and cinnamon. You could also use apple pie spice. This smoothie was A-W-E-S-O-M-E. Yes, it tasted like apple pie … and a little bit like eggnog. Rich, thick and creamy. It just tasted like fall to me and I loved it! In conclusion, I highly recommend this book. There is a basics primer in the beginning (i.e. “how to soak cashews”) and an ingredients review (along with sources) which the author entitles The Smoothie Pantry. Oh, and p.s. … There’s also an app for iPhone (maybe other devices as well) for $4.99.